"Mount Moriah" redirects here. For the location of the binding of Isaac, see Moriah. The Temple Mount (Hebrew: הַר הַבַּיִת‎, Har HaBáyit, "Mount of the House (of God, i.e. the Temple in Jerusalem)"), known to Muslims as the Haram esh-Sharif (Arabic: الحرم الشريف‎, al-Ḥaram al-Šarīf, "the Noble Sanctuary", or الحرم القدسي الشريف, al-Ḥaram al-Qudsī al-Šarīf, "the Noble Sanctuary of Jerusalem") and the Al Aqsa Compound is a hill located in the Old City of Jerusalem that for thousands of years has been venerated as a holy site, in Judaism, Christianity, and Islam alike. The present site is a flat plaza surrounded by retaining walls (including the Western Wall) which was built during the reign of Herod the Great for an expansion of the temple. The plaza is dominated by three monumental structures from the early Umayyad period: the al-Aqsa Mosque, the Dome of the Rock and the Dome of the Chain, as well as four minarets. Herodian walls and gates, with additions from the late Byzantine and early Islamic periods, cut through the flanks of the Mount. Currently it can be reached through eleven gates, ten reserved for Muslims and one for non-Muslims, with guard posts of Israeli police in the vicinity of each. According to the Bible, the Jewish Temples stood on the Temple Mount. [not in citation given] According to Jewish tradition and scripture, the First Temple was built by King Solomon the son of King David in 957 BCE and destroyed by the Babylonians in 586 BCE – however no substantial archaeological evidence has verified this. The second was constructed under the auspices of Zerubbabel in 516 BCE and destroyed by the Roman Empire in 70 CE. Jewish tradition maintains it is here that a third and final Temple will also be built. The location is the holiest site in Judaism and is the place Jews turn towards during prayer. Due to its extreme sanctity, many Jews will not walk on the Mount itself, to avoid unintentionally entering the area where the Holy of Holies stood, since according to Rabbinical law, some aspect of the divine presence is still present at the site. Among Muslims, the Mount is the site of one of the three Sacred Mosques, the holiest sites in Islam. Amongst Sunni Muslims, it is considered the third holiest site in Islam. Revered as the Noble Sanctuary, the location of Muhammad's journey to Jerusalem and ascent to heaven, the site is also associated with Jewish biblical prophets who are also venerated in Islam. Umayyad Caliphs commissioned the construction of the al-Aqsa Mosque and Dome of the Rock on the site. The Dome was completed in 692 CE, making it one of the oldest extant Islamic structures in the world. The Al Aqsa Mosque rests on the far southern side of the Mount, facing Mecca. 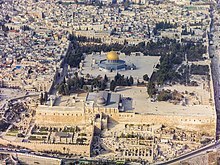 The Dome of the Rock currently sits in the middle, occupying or close to the area where the Holy Temple previously stood. In light of the dual claims of both Judaism and Islam, it is one of the most contested religious sites in the world. Since the Crusades, the Muslim community of Jerusalem has managed the site as a Waqf. The Temple Mount is within the Old City, which has been controlled by Israel since 1967. After the Six-Day War, Israel handed administration of the site back to the Waqf under Jordanian custodianship, while maintaining Israeli security control. It remains a major focal point of the Arab–Israeli conflict. In an attempt to keep the status quo, the Israeli government enforces a controversial ban on prayer by non-Muslims. The concept of the "Temple Mount" gained prominence in the first century CE, after the destruction of the Second Temple. Although the term "Temple Mount" was first used in the Book of Micah (4:1) – literally as "Mount of the House" – it was not used again until approximately one thousand years later. The term was not used in the New Testament. The term was used next in the Talmud's Tractate Middot (1:1–3, 2:1–2), in which the area was described in detail. The term was used frequently in Talmudic texts thereafter. The Holyland Model of Jerusalem in the late Second Temple period. The large flat expanse was a base for Herod's Temple, in the center. The view is from outside the Eastern Wall of the Temple Mount. The Temple Mount has historical and religious significance for all three of the major Abrahamic religions: Judaism, Christianity and Islam. It has particular religious significance for Judaism and Islam, and the competing claims of these faith communities has made it one of the most contested religious sites in the world. The Temple Mount is the holiest site in Judaism, which regards it as the place where God's divine presence is manifested more than in any other place, and is the place Jews turn towards during prayer. Due to its extreme sanctity, many Jews will not walk on the Mount itself, to avoid unintentionally entering the area where the Holy of Holies stood, since according to Rabbinical law, some aspect of the divine presence is still present at the site. It was from the Holy of Holies that the High Priest communicated directly with God. According to the rabbinic sages whose debates produced the Talmud, it was from here the world expanded into its present form and where God gathered the dust used to create the first human, Adam. 2 Chronicles 3:1 refers to the Temple Mount in the time before the construction of the temple as Mount Moriah (Hebrew: הַר הַמֹּורִיָּה‎, har ham-Môriyyāh). The "land of Moriah" (Hebrew: אֶרֶץ הַמֹּרִיָּה‎, ʾereṣ ham-Môriyyāh) is the name given by Genesis to the location of Abraham's binding of Isaac. Since at least the first century CE, the two sites have been identified with one another in Judaism, this identification being subsequently perpetuated by Jewish and Christian tradition. Modern scholarship tends to regard them as distinct (see Moriah). Jewish connection and veneration to the site arguably stems from the fact that it contains the Foundation Stone which, according to the rabbis of the Talmud, was the spot from where the world was created and expanded into its current form. It was subsequently the Holy of Holies of the Temple, the Most Holy Place in Judaism. Jewish tradition names it as the location for a number of important events which occurred in the Bible, including the Binding of Isaac, Jacob's dream, and the prayer of Isaac and Rebekah. Similarly, when the Bible recounts that King David purchased a threshing floor owned by Araunah the Jebusite, tradition locates it as being on this mount. An early Jewish text, the Genesis Rabba, states that this site is one of three about which the nations of the world cannot taunt Israel and say "you have stolen them," since it was purchased "for its full price" by David. According to the Bible, David wanted to construct a sanctuary there, but this was left to his son Solomon, who completed the task in c. 950 BCE with the construction of the First Temple. According to Jewish tradition, both Jewish Temples stood at the Temple Mount, though archaeological evidence only exists for the Second Temple. However, the identification of Solomon's Temple with the area of the Temple Mount is widespread. According to the Bible the site should function as the center of all national life—a governmental, judicial and religious center. During the Second Temple period it functioned also as an economic center. According to Jewish tradition and scripture, the First Temple was built by King Solomon the son of King David in 957 BCE and destroyed by the Babylonians in 586 BCE. The second was constructed under the auspices of Zerubbabel in 516 BCE and destroyed by the Roman Empire in 70 CE. In the 2nd century, the site was used for a temple to Jupiter Capitolinus. It was redeveloped following the Arab conquest. Jewish texts predict that the Mount will be the site of a Third and final Temple, which will be rebuilt with the coming of the Jewish Messiah. A number of vocal Jewish groups now advocate building the Third Holy Temple without delay in order to bring to pass God's "end-time prophetic plans for Israel and the entire world." Several passages in the Hebrew Bible indicate that during the time when they were written, the Temple Mount was identified as Mount Zion. The Mount Zion mentioned in the later parts of the Book of Isaiah (Isaiah 60:14), in the Book of Psalms, and the First Book of Maccabees (c. 2nd century BCE) seems to refer to the top of the hill, generally known as the Temple Mount. According to the Book of Samuel, Mount Zion was the site of the Jebusite fortress called the "stronghold of Zion", but once the First Temple was erected, according to the Bible, at the top of the Eastern Hill ("Temple Mount"), the name "Mount Zion" migrated there too. The name later migrated for a last time, this time to Jerusalem's Western Hill. In 1217, Spanish Rabbi Judah al-Harizi found the sight of the Muslim structures on the mount profoundly disturbing. "What torment to see our holy courts converted into an alien temple!" he wrote. The Temple was of central importance in Jewish worship in the Tanakh (Old Testament). In the New Testament, Herod's Temple was the site of several events in the life of Jesus, and Christian loyalty to the site as a focal point remained long after his death. After the destruction of the Temple in 70 CE, which came to be regarded by early Christians, as it was by Josephus and the sages of the Jerusalem Talmud, to be a divine act of punishment for the sins of the Jewish people, the Temple Mount lost its significance for Christian worship with the Christians considering it a fulfillment of Christ's prophecy at, for example, Matthew 23:28 and 24:2. It was to this end, proof of a biblical prophecy fulfilled and of Christianity's victory over Judaism with the New Covenant, that early Christian pilgrims also visited the site. 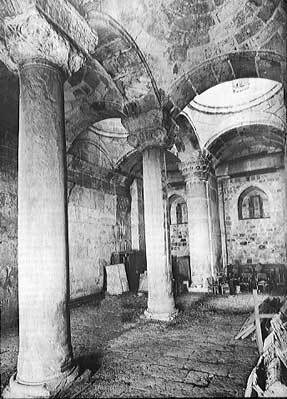 Byzantine Christians, despite some signs of constructive work on the esplanade, generally neglected the Temple Mount, especially when a Jewish attempt to rebuild the Temple was destroyed by the earthquake in 363. and it became a desolate local rubbish dump, perhaps outside the city limits, as Christian worship in Jerusalem shifted to the Church of the Holy Sepulchre, and Jerusalem's centrality was replaced by Rome. During the Byzantine era, Jerusalem was primarily Christian and pilgrims came by the tens of thousands to experience the places where Jesus walked. 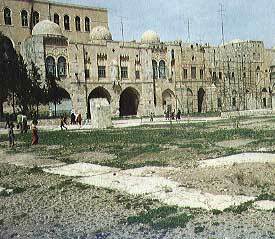 After the Persian invasion in 614 many churches were razed and the site was turned into a dumpyard. The Arabs conquered the city from the Byzantine Empire which had retaken it in 629. The Byzantine ban on the Jews was lifted and they were allowed to live inside the city and visit the places of worship. Christian pilgrims were able to come and experience the Temple Mount area. The war between Seljuqs and Byzantine Empire and increasing Muslim violence against Christian pilgrims to Jerusalem instigated the Crusades. The Crusaders captured Jerusalem in 1099 and the Dome of the Rock was given to the Augustinians, who turned it into a church, and the Al-Aqsa Mosque became the royal palace of Baldwin I of Jerusalem in 1104. The Knights Templar, who believed the Dome of the Rock was the site of the Solomon's Temple, gave it the name "Templum Domini" and set up their headquarters in the Al-Aqsa Mosque adjacent to the Dome for much of the 12th century. In Christian art, the circumcision of Jesus was conventionally depicted as taking place at the Temple, even though European artists until recently had no way of knowing what the Temple looked like and the Gospels do not state that the event took place at the Temple. This has been construed to mean that Jesus dispensed with physical location for worship, which was a matter rather of spirit and truth. Almost immediately after the Muslim conquest of Jerusalem in 638 CE, Caliph 'Omar ibn al Khatab, disgusted by the filth covering the site, had it thoroughly cleaned, and granted Jews access to the site. Among Sunni Muslims, the Mount is widely considered the third holiest site in Islam. Revered as the Noble Sanctuary, the location of Muhammad's journey to Jerusalem and ascent to heaven, the site is also associated with Jewish biblical prophets who are also venerated in Islam. Muslims preferred to use the esplanade as the heart for the Muslim quarter, since it had been abandoned by Christians, to avoid disturbing the Christian quarters of Jerusalem. Umayyad Caliphs commissioned the construction of the al-Aqsa Mosque and Dome of the Rock on the site. The Dome was completed in 692 CE, making it one of the oldest extant Islamic structures in the world. The Al Aqsa Mosque rests on the far southern side of the Mount, facing Mecca. The Dome of the Rock currently sits in the middle, occupying or close to the area where the Holy Temple previously stood. A 13th-century claim to an extended region of holiness was made by Ibn Taymiyyah who asserted: "Al-Masjid al-Aqsa is the name for the whole of the place of worship built by Sulaymaan..." which, according to western tradition, presents: "...the place of worship built by Solomon" known as Solomon's Temple. Ibn Taymiyyah had also opposed giving any undue religious honors to mosques (even that of Jerusalem), to approach or rival in any way the perceived Islamic sanctity of the two most holy mosques within Islam, Masjid al-Haram (in Mecca) and Al-Masjid al-Nabawi (in Madina). Muslims view the site as being one of the earliest and most noteworthy places of worship of God. For a few years in the early stages of Islam, Muhammad instructed his followers to face the Mount during prayer. Exalted is He who took His Servant by night from al-Masjid al-Haram (the Sacred Mosque) to al-Masjid al-Aqsa (the Further Mosque), whose surroundings We have blessed, to show him of Our signs. Indeed, He is the Hearing, the Seeing. When the people of Quraish did not believe me (i.e. the story of my Night Journey), I stood up in Al-Hijr and Allah displayed Jerusalem in front of me, and I began describing Jerusalem to them while I was looking at it. —  Sahih al-Bukhari: Volume 5, Book 58, Number 226. Muslim interpretations of the Quran agree that the Mount is the site of a Temple built by Sulayman, considered a prophet in Islam, that was later destroyed. After the construction, Muslims believe, the temple was used for the worship of one God by many prophets of Islam, including Jesus. Other Muslim scholars have used the Torah (called Tawrat in Arabic) to expand on the details of the temple. The hill is believed to have been inhabited since the 4th millennium BCE. Assuming colocation with the biblical Mount Zion, its southern section would have been walled at the beginning of the 2nd millennium BCE, in around 1850 BCE, by Canaanites who established a settlement there (or in the vicinity) named Jebus. Jewish tradition identifies it with Mount Moriah where the binding of Isaac took place. According to the Hebrew Bible, the Temple Mount was originally a threshing-floor owned by Araunah, a Jebusite. The prophet Gad suggested the area to King David as a fitting place for the erection of an altar to YHWH, since a destroying angel was standing there when God stopped a great plague in Jerusalem. David then bought the property from Araunah, for fifty pieces of silver, and erected the altar. YHWH instructed David to build a sanctuary on the site, outside the city walls on the northern edge of the hill. The building was to replace the Tabernacle, and serve as the Temple of the Israelites in Jerusalem. The Temple Mount is an important part of Biblical archaeology. The Trumpeting Place inscription, a stone (2.43x1 m) with Hebrew inscription לבית התקיעה להב "To the Trumpeting Place" excavated by Benjamin Mazar at the southern foot of the Temple Mount is believed to be a part of the Second Temple. Much of the Mount's early history is synonymous with events pertaining to the Temple itself. After the destruction of Solomon's Temple by Nebuchadnezzar II, construction of the Second Temple began under Cyrus in around 538 BCE, and was completed in 516 BCE. Evidence of a Hasmonean expansion of the Temple Mount has been recovered by archaeologist Leen Ritmeyer. Around 19 BCE, Herod the Great further expanded the Mount and rebuilt the temple. The ambitious project, which involved the employment of 10,000 workers, more than doubled the size of the Temple Mount to approximately 36 acres (150,000 m2). Herod leveled the area by cutting away rock on the northwest side and raising the sloping ground to the south. He achieved this by constructing huge buttress walls and vaults, and filling the necessary sections with earth and rubble. A basilica, called by Josephus "the Royal Stoa", was constructed on the southern end of the expanded platform, which provided a focus for the city's commercial and legal transactions, and which was provided with separate access to the city below via the Robinson's Arch overpass. In addition to restoration of the Temple, its courtyards and porticoes, Herod also built the Antonia Fortress, abutting the northwestern corner of the Temple Mount, and a rainwater reservoir, Birket Israel, in the northeast. As a result of the First Jewish–Roman War, the fortress was destroyed in 70 CE by Titus, the army commander and son of Roman emperor Vespasian. The city of Aelia Capitolina was built in 130 CE by the Roman emperor Hadrian, and occupied by a Roman colony on the site of Jerusalem, which was still in ruins from the First Jewish Revolt in 70 CE. Aelia came from Hadrian's nomen gentile, Aelius, while Capitolina meant that the new city was dedicated to Jupiter Capitolinus, to whom a temple was built on the site of the former second Jewish temple, the Temple Mount. Hadrian had intended the construction of the new city as a gift to the Jews, but since he had constructed a giant statue of himself in front of the Temple of Jupiter and the Temple of Jupiter had a huge statue of Jupiter inside of it, there were on the Temple Mount now two enormous graven images, which Jews considered idolatrous. It was also customary in Roman rites to sacrifice a pig in land purification ceremonies. In addition to this, Hadrian issued a decree prohibiting the practice of circumcision. These three factors, the graven images, the sacrifice of pigs before the altar, and the prohibition of circumcision, are thought to have constituted for non-Hellenized Jews a new abomination of desolation, and thus Bar Kochba launched the Third Jewish Revolt. After the Third Jewish Revolt failed, all Jews were forbidden on pain of death from entering the city or the surrounding territory around the city. From the 1st through the 7th centuries Christianity spread throughout the Roman Empire, gradually became the predominant religion of Palestine and under the Byzantines Jerusalem itself was almost completely Christian, with most of the population being Jacobite Christians of the Syrian rite. Emperor Constantine I promoted the Christianization of Roman society, giving it precedence over pagan cults. One consequence was that Hadrian's Temple to Jupiter on the Temple Mount was demolished immediately following the First Council of Nicea in 325 CE on orders of Constantine. The Bordaeux Pilgrim, who visited Jerusalem in 333–334, during the reign of Emperor Constantine I, wrote that "There are two statues of Hadrian, and, not far from them, a pierced stone to which the Jews come every year and anoint. They mourn and rend their garments, and then depart." The occasion is assumed to have been Tisha b'Av, since decades later Jerome related that that was the only day on which Jews were permitted to enter Jerusalem. Constantine's nephew Emperor Julian granted permission in the year 363 for the Jews to rebuild the Temple. In a letter attributed to Julian he wrote to the Jews that "This you ought to do, in order that, when I have successfully concluded the war in Persia, I may rebuild by my own efforts the sacred city of Jerusalem, which for so many years you have longed to see inhabited, and may bring settlers there, and, together with you, may glorify the Most High God therein." Julian saw the Jewish God as a fitting member of the pantheon of gods he believed in, and he was also a strong opponent of Christianity. Church historians wrote that the Jews began to clear away the structures and rubble on the Temple Mount but were thwarted, first by a great earthquake, and then by miracles that included fire springing from the earth. However, no contemporary Jewish sources mention this episode directly. Archaeological evidence in the form of an elaborate mosaic floor similar to the one in the Church of the Nativity in Bethlehem and multiple fragments of an elaborate marble Templon (chancel screen) prove that an elaborate Byzantine church or monastery or other public building stood on the Temple Mount in Byzantine times. In 610, the Sassanid Empire drove the Byzantine Empire out of the Middle East, giving the Jews control of Jerusalem for the first time in centuries. The Jews in Palestine were allowed to set up a vassal state under the Sassanid Empire called the Sassanid Jewish Commonwealth which lasted for five years. Jewish rabbis ordered the restart of animal sacrifice for the first time since the time of Second Temple and started to reconstruct the Jewish Temple. Shortly before the Byzantines took the area back five years later in 615, the Persians gave control to the Christian population, who tore down the partially built Jewish Temple edifice and turned it into a garbage dump, which is what it was when the Rashidun Caliph Umar took the city in 637. In 637 Arabs besieged and captured the city from the Byzantine Empire, which had defeated the Persian forces and their allies, and reconquered the city. 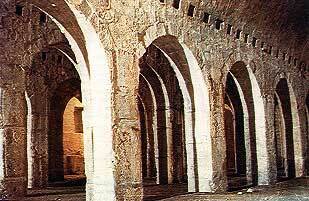 There are no contemporary records, but many traditions, about the origin of the main Islamic buildings on the mount. A popular account from later centuries is that the Rashidun Caliph Umar was led to the place reluctantly by the Christian patriarch Sophronius. He found it covered with rubbish, but the sacred Rock was found with the help of a converted Jew, Ka'b al-Ahbar. Al-Ahbar advised Umar to build a mosque to the north of the rock, so that worshippers would face both the rock and Mecca, but instead Umar chose to build it to the south of the rock. It became known as the Al-Aqsa Mosque. According to Muslim sources, Jews participated in the construction of the haram, laying the groundwork for both the Al-Aqsa and Dome of the Rock mosques. The first known eyewitness testimony is that of the pilgrim Arculf who visited about 670. According to Arculf's account as recorded by Adomnán, he saw a rectangular wooden house of prayer built over some ruins, large enough to hold 3,000 people. In 691 an octagonal Islamic building topped by a dome was built by the Caliph Abd al-Malik around the rock, for a myriad of political, dynastic and religious reasons, built on local and Quranic traditions articulating the site's holiness, a process in which textual and architectural narratives reinforced one another. The shrine became known as the Dome of the Rock (قبة الصخرة, Qubbat as-Sakhra). (The dome itself was covered in gold in 1920.) In 715 the Umayyads, led by the Caliph al-Walid I, built the Aqsa Mosque (المسجد الأقصى, al-Masjid al-Aqsa, lit. "Furthest Mosque"), corresponding to the Islamic belief of Muhammad's miraculous nocturnal journey as recounted in the Quran and hadith. The term "Noble Sanctuary" or "Haram al-Sharif", as it was called later by the Mamluks and Ottomans, refers to the whole area that surrounds that Rock. For Muslims, the importance of the Dome of the Rock and Al-Aqsa Mosque makes Jerusalem the third-holiest city, after Mecca and Medina. The mosque and shrine are currently administered by a Waqf (an Islamic trust). The various inscriptions on the Dome walls and the artistic decorations imply a symbolic eschatological significance of the structure. The Crusader period began in 1099 with the First Crusade's capture of Jerusalem. After the city's conquest, the Crusading order known as the Knights Templar was granted use of the Dome of the Rock on the Temple Mount. This was probably by Baldwin II of Jerusalem and Warmund, Patriarch of Jerusalem at the Council of Nablus in January 1120, which gave the Templars a headquarters in the captured Al-Aqsa Mosque. The Temple Mount had a mystique because it was above what were believed to be the ruins of the Temple of Solomon. The Crusaders therefore referred to the Al Aqsa Mosque as Solomon's Temple, and it was from this location that the new Order took the name of "Poor Knights of Christ and the Temple of Solomon", or "Templar" knights. In 1187, once he retook Jerusalem, Saladin removed all traces of Christian worship from the Temple Mount, returning the Dome of the Rock and the Al-Aqsa Mosque to their original purposes. It remained in Muslim hands thereafter, even during the relatively short periods of Crusader rule following the Sixth Crusade. There are several Mamluk buildings on and around the Haram esplanade. The Mamluks also raised the level of Jerusalem's Central or Tyropoean Valey bordering the Temple Mount from the west by constructing huge substructures, on which they then built on a large scale. The Mamluk-period substructures and over-ground buildings are thus covering much of the Herodian western wall of the Temple Mount. Following the Ottoman conquest of Palestine in 1516, the Ottoman authorities continued the policy of prohibiting non-Muslims from setting foot on the Temple Mount until the early 19th century, when non-Muslims were again permitted to visit the site. In 1867, a team from the Royal Engineers, led by Lieutenant Charles Warren and financed by the Palestine Exploration Fund (P.E.F. ), discovered a series of underground tunnels near the Temple Mount. 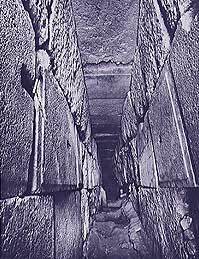 Warren secretly excavated some tunnels near the Temple Mount walls and was the first one to document their lower courses. Warren also conducted some small scale excavations inside the Temple Mount, by removing rubble that blocked passages leading from the Double Gate chamber. Between 1922 and 1924, the Dome of the Rock was restored by the Islamic Higher Council. Jordan undertook two renovations of the Dome of the Rock, replacing the leaking, wooden inner dome with an aluminum dome in 1952, and, when the new dome leaked, carrying out a second restoration between 1959 and 1964. Neither Israeli Arabs nor Israeli Jews could visit their holy places in the Jordanian territories during this period. On 7 June 1967, during the Six-Day War, Israeli forces advanced beyond the 1949 Armistice Agreement Line into West Bank territories, taking control of the Old City of Jerusalem, inclusive of the Temple Mount. The Chief Rabbi of the Israeli Defense Forces, Shlomo Goren, led the soldiers in religious celebrations on the Temple Mount and at the Western Wall. The Israeli Chief Rabbinate also declared a religious holiday on the anniversary, called "Yom Yerushalayim" (Jerusalem Day), which became a national holiday to commemorate the reunification of Jerusalem. Many saw the capture of Jerusalem and the Temple Mount as a miraculous liberation of biblical-messianic proportions. A few days after the war was over 200,000 Jews flocked to the Western Wall in the first mass Jewish pilgrimage near the Mount since the destruction of the Temple in 70 CE. Islamic authorities did not disturb Goren when he went to pray on the Mount until, on the Ninth Day of Av, he brought 50 followers and introduced both a shofar, and a portable ark to pray, an innovation which alarmed the Waqf authorities and led to a deterioration of relations between the Muslim authorities and the Israeli government. The then Prime Minister of Israel, Levi Eshkol, gave control of access to the Temple Mount to the Jerusalem Islamic Waqf. The site has since been a flash-point between Israel and local Muslims. In June 1969 an Australian tried to set fire to Al-Aqsa; on April 11, 1982 a Jew hid in the Dome of the Rock and sprayed gunfire, killing 2 Palestinians and wounding 44; in 1974, 1977 and 1983 groups led by Yoel Lerner conspired to blow up both the Dome of the Rock and Al-Aqsa; on 26 January 1984 Waqf guards detected members of B'nei Yehuda, a messianic cult of former gangsters turned mystics based in Lifta, trying to infiltrate the area to blow it up. On October 8, 1990, Israeli forces patrolling the site blocked worshippers from accessing it. A tear gas canister was detonated among the female worshippers, which caused events to escalate. On 12 October 1990 Palestinian Muslims protested violently the intention of some extremist Jews to lay a cornerstone on the site for a New Temple as a prelude to the destruction of the Muslim mosques. The attempt was blocked by Israeli authorities but demonstrators were widely reported as having stoned Jews at the Western Wall. According to Palestinian historian Rashid Khalidi, investigative journalism has shown this allegation to be false. Rocks were eventually thrown, while security forces fired rounds that ended up killing 21 people and injuring 150 more. An Israeli inquiry found Israeli forces at fault, but it also concluded that charges could not be brought against any particular individuals. In December 1997, Israeli security services preempted an attempt by Jewish extremists to throw a pig's head wrapped in the pages of the Quran into the area, in order to spark a riot and embarrass the government. Between 1992 and 1994, the Jordanian government undertook the unprecedented step of gilding the dome of the Dome of the Rock, covering it with 5000 gold plates, and restoring and reinforcing the structure. The Salah Eddin minbar was also restored. The project was paid for by King Hussein personally, at a cost of $8 million. The Temple Mount remains, under the terms of the 1994 Israel–Jordan peace treaty, under Jordanian custodianship. On September 28, 2000, Israeli opposition leader Ariel Sharon visited the Temple Mount. He toured the site, together with a Likud party delegation and a large number of Israeli riot police. The visit was seen as a provocative gesture by many Palestinians, who gathered around the site. Demonstrations quickly turned violent, with rubber bullets and tear gas being used. This event is often cited as one of the catalysts of the Second Palestinian Intifada. Evidence reveals, however, that one month earlier, Palestinian Authority Justice Minister Freih Abu Middein warned that: "Violence is near and the Palestinian people are willing to sacrifice even 5,000 casualties." A few weeks before the outbreak, the official PA publication, Al-Sabah, declared: "The time for the Intifada has arrived... the time for jihad has arrived." Palestinian leader Marwan Barghouti would later admit that the Intifada was planned and Sharon merely "provided a good excuse" for the violence. Since 1757 a status quo has been applied for the ruling of the Holy places in Jerusalem. Article VI. The Mohammedan Holy Places shall be under Mohammedan control. In 1929 tensions around the Western Wall in which Jews were accused of violating the status quo generated riots during which 133 Jews and 110 Arabs were killed. Following the 1948 Arab–Israeli War, the status quo was not respected any more after Jordan took control of the Old City of Jerusalem and Jews were prohibited from visiting their Holy Places in the city. The basic principle is that every Jew has the right to enter the Temple Mount, to pray there, and to have communion with his maker. This is part of the religious freedom of worship, it is part of the freedom of expression. However, as with every human right, it is not absolute, but a relative right... Indeed, in a case where there is near certainty that injury may be caused to the public interest if a person's rights of religious worship and freedom of expression would be realized, it is possible to limit the rights of the person in order to uphold the public interest. Police continued to forbid Jews to pray on the Temple Mount. Subsequently, several prime ministers also made attempts to change the status quo, but failed to do so. In October 1986, an agreement between the Temple Mount Faithful, the Supreme Muslim Council and police, which would allow short visits in small groups, was exercised once and never repeated, after 2,000 Muslims armed with stones and bottles attacked the group and stoned worshipers at the Western Wall. During the 1990s, additional attempts were made for Jewish prayer on the Temple Mount, which were stopped by Israeli police. Until 2000, non-Muslim visitors could enter the Dome of the Rock, al-Aqsa Mosque and the Islamic Museum by getting a ticket from the Waqf. That procedure ended when the Second Intifada erupted. Fifteen years later, negotiation between Israel and Jordan might result in reopening of those sites once again. In the 2010s, fear arose among Palestinians that Israel planned to change the status quo and permit Jewish prayers or that the al-Aqsa mosque might be damaged or destroyed by Israel. Al-Aqsa was used as a base for attacks on visitors and the police from which stones, firebombs and fireworks were thrown. The Israeli police had never entered al-Aqsa Mosque until November 5, 2014, when dialog with the leaders of the Waqf and the rioters failed. This resulted in imposing strict limitations on entry of visitors to the Temple Mount. Israeli leadership repeatedly stated that the status quo would not change. According to then Jerusalem police commissioner Yohanan Danino, the place is at the center of a "holy war" and "anyone who wants to change the status quo on the Temple Mount should not be allowed up there", citing an "extreme right-wing agenda to change the status quo on the Temple Mount"; Hamas and Islamic Jihad continue to erroneously assert that the Israeli government plans to destroy Al-Aksa Mosque, resulting in chronic terrorist attacks and rioting. There have been several changes to the status quo: (1) Jewish visits are often prevented or considerably restricted. (2) Jews and other non-Islamic visitors can only visit from Sunday to Thursday, for four hours each day. (3) Visits inside the mosques are not allowed. (4) Jews with religious appearance must visit in groups monitored by Waqf guards and policemen. Many Palestinians believe the status quo is threatened since right-wing Israelis have been challenging it with more force and frequency, asserting a religious right to pray there. Until Israel banned them, members of Murabitat, a group of women, cried 'Allah Akbar' at groups of Jewish visitors to remind them the Temple Mount was still in Muslim hands. An Islamic Waqf has managed the Temple Mount continuously since the Muslim reconquest of the Latin Kingdom of Jerusalem in 1187. On June 7, 1967, soon after Israel had taken control of the area during the Six-Day War, Prime Minister Levi Eshkol assured that "no harm whatsoever shall come to the places sacred to all religions". Together with the extension of Israeli jurisdiction and administration over east Jerusalem, the Knesset passed the Preservation of the Holy Places Law, ensuring protection of the Holy Places against desecration, as well as freedom of access thereto. The site remains within the area controlled by the State of Israel, with administration of the site remaining in the hands of the Jerusalem Islamic Waqf. Although freedom of access was enshrined in the law, as a security measure, the Israeli government currently enforces a ban on non-Muslim prayer on the site. Non-Muslims who are observed praying on the site are subject to expulsion by the police. At various times, when there is fear of Arab rioting upon the mount resulting in throwing stones from above towards the Western Wall Plaza, Israel has prevented Muslim men under 45 from praying in the compound, citing these concerns. Sometimes such restrictions have coincided with Friday prayers during the Islamic holy month of Ramadan. Normally, West Bank Palestinians are allowed access to Jerusalem only during Islamic holidays, with access usually restricted to men over 35 and women of any age eligible for permits to enter the city. Palestinian residents of Jerusalem, which because of Israel's annexation of Jerusalem, hold Israeli permanent residency cards, and Israeli Arabs, are permitted unrestricted access to the Temple Mount. The Mughrabi Gate is the only entrance to the Temple Mount accessible to non-Muslims. Due to religious restrictions on entering the most sacred areas of the Temple Mount (see following section), the Western Wall, a retaining wall for the Temple Mount and remnant of the Second Temple structure, is considered by some rabbinical authorities to be the holiest accessible site for Jews to pray at. A 2013 Knesset committee hearing considered allowing Jews to pray at the site, amidst heated debate. Arab-Israeli MPs were ejected for disrupting the hearing, after shouting at the chairman, calling her a "pyromaniac". Religious Affairs Minister Eli Ben-Dahan of Jewish Home said his ministry was seeking legal ways to enable Jews to pray at the site. Translation: "Let no foreigner enter within the parapet and the partition which surrounds the Temple precincts. Anyone caught [violating] will be held accountable for his ensuing death." Today, the stone is preserved in Istanbul's Museum of Antiquities. Maimonides wrote that it was only permitted to enter the site to fulfill a religious precept. After the destruction of the Temple there was discussion as to whether the site, bereft of the Temple, still maintained its holiness or not. Jewish codifiers accepted the opinion of Maimonides who ruled that the holiness of the Temple sanctified the site for eternity and consequently the restrictions on entry to the site are still currently in force. While secular Jews ascend freely, the question of whether ascending is permitted is a matter of some debate among religious authorities, with a majority holding that it is permitted to ascend to the Temple Mount, but not to step on the site of the inner courtyards of the ancient Temple. The question then becomes whether the site can be ascertained accurately. A second complex legal debate centers around the precise divine punishment for stepping onto these forbidden spots. There is debate over whether reports that Maimonides himself ascended the Mount are reliable. One such report claims that he did so on Thursday, October 21, 1165, during the Crusader period. Some early scholars however, claim that entry onto certain areas of the Mount is permitted. It appears that Radbaz also entered the Mount and advised others how to do this. He permits entry from all the gates into the 135×135 cubits of the Women's Courtyard in the east, since the biblical prohibition only applies to the 187×135 cubits of the Temple in the west. There are also Christian and Islamic sources which indicate that Jews accessed the site, but these visits may have been made under duress. A few hours after the Temple Mount came under Israeli control during the Six-Day War, a message from the Chief Rabbis of Israel, Isser Yehuda Unterman and Yitzhak Nissim was broadcast, warning that Jews were not permitted to enter the site. This warning was reiterated by the Council of the Chief Rabbinate a few days later, which issued an explanation written by Rabbi Bezalel Jolti (Zolti) that "Since the sanctity of the site has never ended, it is forbidden to enter the Temple Mount until the Temple is built." The signatures of more than 300 prominent rabbis were later obtained. A major critic of the decision of the Chief Rabbinate was Rabbi Shlomo Goren, the chief rabbi of the IDF. According to General Uzi Narkiss, who led the Israeli force that conquered the Temple Mount, Goren proposed to him that the Dome of the Rock be immediately blown up. After Narkiss refused, Goren unsuccessfully petitioned the government to close off the Mount to Jews and non-Jews alike. Later he established his office on the Mount and conducted a series of demonstrations on the Mount in support of the right of Jewish men to enter there. His behavior displeased the government, which restricted his public actions, censored his writings, and in August prevented him from attending the annual Oral Law Conference at which the question of access to the Mount was debated. Although there was considerable opposition, the conference consensus was to confirm the ban on entry to Jews. The ruling said "We have been warned, since time immemorial [lit. for generations and generations], against entering the entire area of the Temple Mount and have indeed avoided doing so." According to Ron Hassner, the ruling "brilliantly" solved the government's problem of avoiding ethnic conflict, since those Jews who most respected rabbinical authority were those most likely to clash with Muslims on the Mount. Rabbinical consensus in the post-1967 period, held that it is forbidden for Jews to enter any part of the Temple Mount, and in January 2005 a declaration was signed confirming the 1967 decision. While Rabbi Moshe Feinstein permitted, in principle, entry to some parts of the site, most other Haredi rabbis are of the opinion that the Mount is off limits to Jews and non-Jews alike. Their opinions against entering the Temple Mount are based on the current political climate surrounding the Mount, along with the potential danger of entering the hallowed area of the Temple courtyard and the impossibility of fulfilling the ritual requirement of cleansing oneself with the ashes of a red heifer. 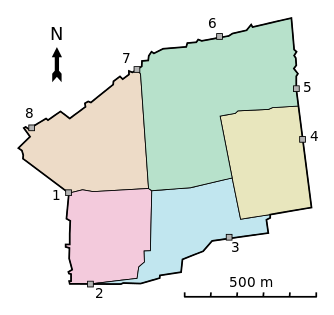 The boundaries of the areas which are completely forbidden, while having large portions in common, are delineated differently by various rabbinic authorities. However, there is a growing body of Modern Orthodox and national religious rabbis who encourage visits to certain parts of the Mount, which they believe are permitted according to most medieval rabbinical authorities. These rabbis include: Shlomo Goren (former Ashkenazi Chief Rabbi of Israel); Chaim David Halevi (former Chief Rabbi of Tel Aviv and Yaffo); Dov Lior (Rabbi of Kiryat Arba); Yosef Elboim; Yisrael Ariel; She'ar Yashuv Cohen (Chief Rabbi of Haifa); Yuval Sherlo (rosh yeshiva of the hesder yeshiva of Petah Tikva); Meir Kahane. One of them, Shlomo Goren, held that it is possible that Jews are even allowed to enter the heart of the Dome of the Rock in time of war, according to Jewish Law of Conquest. These authorities demand an attitude of veneration on the part of Jews ascending the Temple Mount, ablution in a mikveh prior to the ascent, and the wearing of non-leather shoes. Some rabbinic authorities are now of the opinion that it is imperative for Jews to ascend in order to halt the ongoing process of Islamization of the Temple Mount. Maimonides, perhaps the greatest codifier of Jewish Law, wrote in Laws of the Chosen House ch 7 Law 15 "One may bring a dead body in to the (lower sanctified areas of the) Temple Mount and there is no need to say that the ritually impure (from the dead) may enter there, because the dead body itself can enter". One who is ritually impure through direct or in-direct contact of the dead cannot walk in the higher sanctified areas. For those who are visibly Jewish, they have no choice, but to follow this peripheral route as it has become unofficially part of the status quo on the Mount. Many of these recent opinions rely on archaeological evidence. In December 2013, the two Chief Rabbis of Israel, David Lau and Yitzhak Yosef, reiterated the ban on Jews entering the Temple Mount. They wrote, "In light of [those] neglecting [this ruling], we once again warn that nothing has changed and this strict prohibition remains in effect for the entire area [of the Temple Mount]". In November 2014, the Sephardic chief rabbi Yitzhak Yosef, reiterated the point of view held by many rabbinic authorities that Jews should not visit the Mount. On the occasion of an upsurge in Palestinian knifing attacks on Israelis, associated with fears that Israel was changing the status quo on the Mount, the Haredi newspaper Mishpacha ran a notification in Arabic asking 'their cousins', Palestinians, to stop trying to murder members of their congregation, since they were vehemently opposed to ascending the Mount and consider such visits proscribed by Jewish law. A flat platform was built around the peak of the Temple Mount, carrying the Dome of the Rock; the peak just breaches the floor level of the upper platform within the Dome of the Rock, in the shape of a large limestone outcrop, which is part of the bedrock. Beneath the surface of this rock there is a cave known as the Well of Souls, originally accessible only by a narrow hole in the rock itself; the Crusaders hacked open an entrance to the cave from the south, by which it can now be entered. There is also a smaller domed building on the upper platform, slightly to the east of the Dome of the Rock, known as the Dome of the Chain — traditionally the location where a chain once rose to heaven. Several stairways rise to the upper platform from the lower; that at the northwest corner is believed by some archaeologists be part of a much wider monumental staircase, mostly hidden or destroyed, and dating from the Second Temple era. The lower platform – which constitutes most of the surface of the Temple Mount – has at its southern end the al-Aqsa Mosque, which takes up most of the width of the Mount. Gardens take up the eastern and most of the northern side of the platform; the far north of the platform houses an Islamic school. The lower platform also houses an ablution fountain (known as al-Kas), originally supplied with water via a long narrow aqueduct leading from the so-called Solomon's Pools pools near Bethlehem, but now supplied from Jerusalem's water mains. Cistern 1 (located under the northern side of the upper platform). There is a speculation that it had a function connected with the altar of the Second Temple (and possibly of the earlier Temple), or with the bronze sea. Cistern 5 (located under the south eastern corner of the upper platform) — a long and narrow chamber, with a strange anti-clockwise curved section at its north western corner, and containing within it a doorway currently blocked by earth. The cistern's position and design is such that there has been speculation it had a function connected with the altar of the Second Temple (and possibly of the earlier Temple), or with the bronze sea. Charles Warren thought that the altar of burnt offerings was located at the north western end. Cistern 8 (located just north of the al-Aqsa Mosque) — known as the Great Sea, a large rock hewn cavern, the roof supported by pillars carved from the rock; the chamber is particularly cave-like and atmospheric, and its maximum water capacity is several hundred thousand gallons. Cistern 9 (located just south of cistern 8, and directly under the al-Aqsa Mosque) — known as the Well of the Leaf due to its leaf-shaped plan, also rock hewn. Cistern 11 (located east of cistern 9) — a set of vaulted rooms forming a plan shaped like the letter E. Probably the largest cistern, it has the potential to house over 700,000 gallons of water. Cistern 16/17 (located at the centre of the far northern end of the Temple Mount). Despite the currently narrow entrances, this cistern (17 and 16 are the same cistern) is a large vaulted chamber, which Warren described as looking like the inside of the cathedral at Cordoba (which was previously a mosque). Warren believed that it was almost certainly built for some other purpose, and was only adapted into a cistern at a later date; he suggested that it might have been part of a general vault supporting the northern side of the platform, in which case substantially more of the chamber exists than is used for a cistern. Robinson's Arch, situated on the southwestern flank, once supported a staircase that led to the Mount. The retaining walls of the platform contain several gateways, all currently blocked. In the eastern wall is the Golden Gate, through which legend states the Jewish Messiah would enter Jerusalem. On the southern face are the Hulda Gates — the triple gate (which has three arches) and the double gate (which has two arches, and is partly obscured by a Crusader building); these were the entrance and exit (respectively) to the Temple Mount from Ophel (the oldest part of Jerusalem), and the main access to the Mount for ordinary Jews. In the western face, near the southern corner, is the Barclay's Gate – only half visible due to a building (the "house of Abu Sa'ud") on the northern side. Also in the western face, hidden by later construction but visible via the recent Western Wall Tunnels, and only rediscovered by Warren, is Warren's Gate; the function of these western gates is obscure, but many Jews view Warren's Gate as particularly holy, due to its location due west of the Dome of the Rock. Traditional belief considers the Dome of the Rock to have earlier been the location at which the Holy of Holies was placed; numerous alternative opinions exist, based on study and calculations, such as those of Tuvia Sagiv. Warren was able to investigate the inside of these gates. Warren's Gate and the Golden Gate simply head towards the centre of the Mount, fairly quickly giving access to the surface by steps. Barclay's Gate is similar, but abruptly turns south as it does so; the reason for this is currently unknown. The double and triple gates (the Huldah Gates) are more substantial; heading into the Mount for some distance they each finally have steps rising to the surface just north of the al-Aqsa Mosque. The passageway for each is vaulted, and has two aisles (in the case of the triple gate, a third aisle exists for a brief distance beyond the gate); the eastern aisle of the double gates and western of the triple gates reach the surface, the other aisles terminating some way before the steps – Warren believed that one aisle of each original passage was extended when the al-Aqsa Mosque blocked the original surface exits. In the process of investigating Cistern 10, Warren discovered tunnels that lay under the Triple Gate passageway. These passages lead in erratic directions, some leading beyond the southern edge of the Temple Mount (they are at a depth below the base of the walls); their purpose is currently unknown – as is whether they predate the Temple Mount – a situation not helped by the fact that apart from Warren's expedition no one else is known to have visited them. There are currently eleven open gates offering access to the Muslim Haram al-Sharif. Bab as-Sarai (Gate of the Seraglio); a small gate to the former residence of the Pasha of Jerusalem; western wall, northern part (between the Bani Ghanim and Council gates). East of and joined to the triple gate passageway is a large vaulted area, supporting the southeastern corner of the Temple Mount platform – which is substantially above the bedrock at this point – the vaulted chambers here are popularly referred to as Solomon's Stables. They were used as stables by the Crusaders, but were built by Herod the Great – along with the platform they were built to support. The existing four minarets include three near the Western Wall and one near the northern wall. The first minaret was constructed on the southwest corner of the Temple Mount in 1278. The second was built in 1297 by order of a Mameluk king, the third by a governor of Jerusalem in 1329, and the last in 1367. Due to the extreme political sensitivity of the site, no real archaeological excavations have ever been conducted on the Temple Mount itself. Protests commonly occur whenever archaeologists conduct projects near the Mount. This sensitivity has not, however, prevented the Muslim Waqf from destroying archeological evidence on a number of occasions. Aside from visual observation of surface features, most other archaeological knowledge of the site comes from the 19th-century survey carried out by Charles Wilson and Charles Warren and others. After the Six-Day War of 1967, Israeli archeologists began a series of excavations near the site at the southern wall that uncovered finds from the Second Temple period through Roman, Umayyad and Crusader times. Over the period 1970–88, a number of tunnels were excavated in the vicinity, including one that passed to the west of the Mount and became known as the Western Wall Tunnel, which was opened to the public in 1996. The same year the Waqf began construction of a new mosque in the structures known since Crusader times as Solomon's Stables. Many Israelis regarded this as a radical change of the status quo, which should not have been undertaken without first consulting the Israeli government. The project was done without attention to the possibility of disturbing historically significant archaeological material, with stone and ancient artifacts treated without regard to their preservation. The imprint of a seal thought to have belonged to a priestly Jewish family mentioned in the Old Testament's Book of Jeremiah. More than 4300 coins from various periods. Many of them are from the Jewish revolt that preceded the destruction of the Second Temple by Roman legions in 70 CE emblazoned with the words "Freedom of Zion"
Arrowheads shot by Babylonian archers 2,500 years ago, and others launched by Roman siege machinery 500 years later. Unique floor slabs of the 'opus sectile' technique that were used to pave the Temple Mount courts. This is also mentioned in Josephus accounts and the Babylonian Talmud. In late 2002, a bulge of about 700 mm was reported in the southern retaining wall part of the Temple Mount. A Jordanian team of engineers recommended replacing or resetting most of the stones in the affected area. In February 2004, the eastern wall of the Mount was damaged by an earthquake. The damage threatened to topple sections of the wall into the area known as Solomon's Stables. A few days later, a portion of retaining wall, supporting the earthen ramp that led from the Western Wall plaza to the Gate of the Moors on the Temple Mount, collapsed. In 2007 the Israel Antiquities Authority started work on the construction of a temporary wooden pedestrian pathway to replace the Mugrabi Gate ramp after a landslide in 2005 made it unsafe and in danger of collapse. The works sparked condemnation from Arab leaders. In July 2007 the Muslim religious trust which administers the Mount began digging a 400-metre-long, 1.5-metre-deep trench from the northern side of the Temple Mount compound to the Dome of the Rock in order to replace 40-year-old electric cables in the area. Israeli archaeologists accused the waqf of a deliberate act of cultural vandalism. Israelis allege that Palestinians are deliberately removing significant amounts of archaeological evidence about the Jewish past of the site and claim to have found significant artifacts in the fill removed by bulldozers and trucks from the Temple Mount. Since the Waqf is granted almost full autonomy on the Islamic holy sites, Israeli archaeologists have been prevented from inspecting the area, and are restricted to conducting excavations around the Temple Mount. Muslims allege that the Israelis are deliberately damaging the remains of Islamic-era buildings found in their excavations. Partially collapsed Mughrabi-Bridge: An 800-year-old wall holding back part of the hill jutting out from the Western Wall leading up to the Mughrabi Gate partially collapsed. Authorities believed a recent earthquake may have been responsible. Allah inscription: The word "Allah", in approximately a foot-tall Arabic script, was found newly carved into the ancient stones, an act viewed by Jews as vandalism. The carving was attributed to a team of Jordanian engineers and Palestinian laborers in charge of strengthening that section of the wall. The discovery caused outrage among Israeli archaeologists and many Jews were angered by the inscription at Judaism's holiest site. Synagogue proposal: Uri Ariel, a member of the Knesset from the National Union party (a right wing opposition party) ascended to the mount, and said that he is preparing a plan where a synagogue will be built on the mount. His proposed synagogue would not be built instead of the mosques but in a separate area in accordance with rulings of 'prominent rabbis.' He said he believed that this will be correcting a historical injustice and that it is an opportunity for the Muslim world to prove that it is tolerant to all faiths. Minaret proposal: Plans are mooted to build a new minaret on the mount, the first of its kind for 600 years. King Abdullah II of Jordan announced a competition to design a fifth minaret for the walls of the Temple Mount complex. He said it would "reflect the Islamic significance and sanctity of the mosque". The scheme, estimated to cost $300,000, is for a seven-sided tower – after the seven-pointed Hashemite star – and at 42 metres (138 ft), it would be 3.5 metres (11 ft) taller than the next-largest minaret. The minaret would be constructed on the eastern wall of the Temple Mount near the Golden Gate. Mugrabi Gate ramp reconstruction: Repairs to an earthen ramp leading to the Mugrabi Gate sparked Arab protests. Temple Mount cable replacement: The Waqf began digging a ditch from the northern side of the Temple Mount compound to the Dome of the Rock as a prelude to infrastructure work in the area. Although the dig was approved by the police, it generated protests from archaeologists. Clashes: Palestinian protesters gathered at the site after rumours that an extreme Israeli group would harm the site, which the Israeli government denied. Israeli police assembled at the Temple Mount complex to disperse Palestinian protesters who were throwing stones at them. The police used stun grenades on the protesters, of which 15 were later arrested, including the Palestinian President's adviser on Jerusalem affairs. 18 Palestinians and 3 police officers were injured. A public opinion poll in Israel showed that 49% of Israelis want the Temple to be rebuilt, with 27% saying the government should make active steps towards such reconstruction. The poll was conducted by channel 99, the government-owned Knesset channel, in advance of the 9th day of the Hebrew month of Av, on which Jews commemorate the destruction of both the first and second Temples, which stood at this site. Knesset Member Danny Danon visited the Temple Mount in accordance with rabbinical views of Jewish Law on the 9th of the Hebrew Month of Av, which commemorates the destruction of both the First and Second Temples in Jerusalem. The Knesset Member condemned the conditions imposed by Muslims upon religious Jews at the site and vowed to work to better conditions. Temple Mount shooting: Three men from the Israeli-Arab city of Umm al-Fahm opened fire on two Israeli Druze policemen at the Lions' Gate. Gun attacks have been unusual at the Temple Mount in recent decades. Following the July 14 attack, the site was shut down, and reopened on July 16 with metal detector-equipped checkpoints, spurring calls for protests by Muslim leaders associated with the site. ^ "New Jerusalem Finds Point to the Temple Mount". cbn.com. Annika Björkdahl and Susanne Buckley-Zistel: "The site is known in Arabic as Haram al-Sharif – the Noble Sanctuary – and colloquially as the Haram or the al-Aqsa compound; while in Hebrew, it is called Har HaBeit – the Temple Mount. "; Annika Björkdahl; Susanne Buckley-Zistel (1 May 2016). Spatialising Peace and Conflict: Mapping the Production of Places, Sites and Scales of Violence. Palgrave Macmillan UK. pp. 243–. ISBN 978-1-137-55048-4. "Al-Aqsa Mosque, also referred to as Al-Haram Ash-Sharif (the Noble Sanctuary), comprises the entire area within the compound walls (a total area of 144,000 m2) - including all the mosques, prayer rooms, buildings, platforms and open courtyards located above or under the grounds - and exceeds 200 historical monuments pertaining to various Islamic eras. According to Islamic creed and jurisprudence, all these buildings and courtyards enjoy the same degree of sacredness since they are built on Al-Aqsa's holy grounds. This sacredness is not exclusive to the physical structures allocated for prayer, like the Dome of the Rock or Al-Qibly Mosque (the mosque with the large silver dome)"
Palestinian Academic Society for the Study of International Affairs; Tim Marshall: "Many people believe that the mosque depicted is called the Al-Aqsa; however, a visit to one of Palestine's most eminent intellectuals, Mahdi F. Abdul Hadi, clarified the issue. Hadi is chairman of the Palestinian Academic Society for the Study of International Affairs, based in East Jerusalem. His offices are a treasure trove of old photographs, documents, and symbols. He was kind enough to spend several hours with me. He spread out maps of Jerusalem's Old City on a huge desk and homed in on the Al-Aqsa compound, which sits above the Western Wall. "The mosque in the Al- Aqsa [Brigades] flag is the Dome of the Rock. Everyone takes it for granted that it is the Al-Aqsa mosque, but no, the whole compound is Al-Aqsa, and on it are two mosques, the Qibla mosque and the Dome of the Rock, and on the flags of both Al-Aqsa Brigades and the Qassam Brigades, it is the Dome of the Rock shown," he said." Tim Marshall (4 July 2017). A Flag Worth Dying For: The Power and Politics of National Symbols. Simon and Schuster. pp. 151–. ISBN 978-1-5011-6833-8. ^ "Temple Mount/Al Haram Ash Sharif". Lonely Planet. Retrieved April 17, 2018. ^ a b "BBC - Science & Nature - Horizon". bbc.co.uk. ^ a b 2 Chron. 3:1–2. ^ Wendy Pullan; Maximilian Sternberg; Lefkos Kyriacou; Craig Larkin; Michael Dumper (20 November 2013). The Struggle for Jerusalem's Holy Places. Routledge. p. 9. ISBN 978-1-317-97556-4. The sources for the first temple are solely biblical, and no substantial archaeological remains have been verified. ^ a b Quran 2:4, 34:13–14. ^ a b Nicolle, David (1994). Yarmuk AD 636: The Muslim Conquest of Syria. Osprey Publishing. ^ a b Rizwi Faizer (1998). "The Shape of the Holy: Early Islamic Jerusalem". Rizwi's Bibliography for Medieval Islam. Archived from the original on 2002-02-10. ^ Dov Lieber (July 20, 2017). "Amid Temple Mount tumult, the who, what and why of its Waqf rulers". Times of Israel. Retrieved April 16, 2018. ^ Gilbert, Lela (21 September 2015). "The Temple Mount – Outrageous Lies and Escalating Dangers". Hudson Institute. Retrieved 4 November 2015. ^ Yashar, Ari (28 October 2015). "Watch: Waqf bans 'Religious Christians' from Temple Mount". Arutz Sheva. Retrieved 4 November 2015. ^ "The Temple Mount". Jewish Virtual Library. Retrieved 4 November 2015. ^ Eliav 2008, p. 64: "Surprisingly, it was only in the aftermath of the Second Temple’s destruction, when Jerusalem lost its own role as a political and religious center, that the Temple Mount gained prominence." ^ Eliav 2008, p. 50-51: "The pair of words ‘‘Temple Mount’’ also debuted in the works of the prophets. The ‘‘copyright’’ for this name is reserved to the prophet Micah, who incorporated it into his famous admonitory prophecy: ‘‘Therefore shall Zion for your sake be plowed as a field, and Jerusalem shall become heaps, and the mountain of the house as the high places of the forest’’ (Micah 3:12). It is quite doubtful, however, that the book of Micah preserved a concrete name that was actually used in the day-to-day lexicon of the prophet’s generation. A close-reading of this passage shows that the phrase ‘‘Mountain of the House’’ is a literary variation of a longer term, the ‘‘mountain of the House of the Lord’’ (three words in Hebrew), which appears in verse 4:1. The author places the complete term in the middle and ‘‘plays’’ with its constituent parts (both pieces come out to two words in Hebrew) in the previous and subsequent verses (3:12; 4:2). In verse 4:1 the name Lord is deleted, leaving the term ‘‘Mount of the House,’’ or Temple Mount. This, then, is not a case of terms taken from the vocabulary of daily life but rather variations characteristic of the common literary diction used by the prophets. Furthermore, nearly one thousand years will pass from the alleged time of Micah until the specific term ‘‘Temple Mount’’ reappears in the Mishnah. In the interim, the term ‘‘Temple Mount’’ is not used in even one of the numerous existing sources, except in works quoting and using the entire phrase from Micah. This is conclusive evidence that the name ‘‘Temple Mount’’ was not used in earlier periods, even though the image of a mountain as a place for a temple was both known and probably, at least to some degree, widespread." ^ Eliav 2008, p. 54: "The name ‘‘Temple Mount’’ appears but once throughout the multitude of available sources (in 1 Maccabees, which will be discussed below). Even there, it operates only as a literary construction, inspired by the biblical verse in Micah. This is a decisive finding, which proves that the term ‘‘Temple Mount’’ was not an integral part of the Second Temple period’s lexicon." ^ Eliav 2008, p. 56: "Various passages of the New Testament use the images of the Temple and Jerusalem, whether to express the ‘‘Heavenly Jerusalem’’ or, on occasion, as a label for the actual community. And what of the Temple Mount? The word combination ‘‘Temple’’ and ‘‘Mount’’ is never to be found throughout the entire corpus of the New Testament." ^ Eliav 2008, p. 59: "Tractate Middot (1:1–3, 2:1–2) of the Mishnah, one of the earliest texts of this literature, represents the Mount as a recognized territorial constituent within the Temple complex. Its location is clear, its dimensions are defined (‘‘The Temple Mount was five hundred cubits by five hundred cubits’’), and the names of its gates are known (‘‘The Temple Mount had five gates’’)." ^ Eliav 2008, p. 59b. ^ "Temple Mount - Other sites". ^ a b Carol Delaney, Abraham on Trial: The Social Legacy of Biblical Myth, Princeton University Press 2000 p.120. ^ "Jerusalem: Eye of the Universe - Torah.org". torah.org. Archived from the original on 2010-06-16. ^ a b c d e f g h i "Entering the Temple Mount - in Halacha and Jewish History"ת Gedalia Meyer and Henoch Messner, PDF available at , Vol 10, Summer 2010, Hakirah. ^ Genesis Rabba 79.7: "And he bought the parcel of ground, where he had spread his tent...for a hundred pieces of money." Rav Yudan son of Shimon said: 'This is one of the three places where the non-Jews cannot deceive the Jewish People by saying that they stole it from them, and these are the places: Ma'arat HaMachpela, the Temple and Joseph's burial place. Ma'arat HaMachpela because it is written: 'And Abraham hearkened unto Ephron; and Abraham weighed to Ephron the silver,' (Genesis, 23:16); the Temple because it is written: 'So David gave to Ornan for the place,' (I Chronicles, 21:26); and Joseph's burial place because it is written: 'And he bought the parcel of ground...Jacob bought Shechem.' (Genesis, 33:19)." See also: Kook, Abraham Issac, Moadei Hare'iya, pp. 413–415. ^ "1 Kings - EasyEnglish Bible". easyenglish.info. ^ "Dictionary of Islamic Architecture". google.com. ^ Todd Gitlin, 'Apocalypse Soonest,' Tablet 11 November 2014. ^ a b c d Bargil Pixner (2010). Rainer Riesner (ed.). Paths of the Messiah. Translated by Keith Myrick, Miriam Randall. Ignatius Press. pp. 320–322. ISBN 978-0-89870-865-3. ^ Karen Armstrong (29 April 1997). Jerusalem: one city, three faiths. Ballantine Books. p. 229. Retrieved 25 May 2011. ^ Jacob Jervell, The Theology of the Acts of the Apostles, Cambridge University Press 1996 p.45. ^ Jeff S. Anderson, The Internal Diversification of Second Temple Judaism: An Introduction to the Second Temple Period, University Press of America, 2002 p.132. ^ Catherine Hezser, 'The (In)Significance of Jerusalem in the Yerushalmi Talmud,' in Peter Schäfer, Catherine Hezser (eds. )The Talmud Yerushalmi and Graeco-Roman Culture, Mohr Siebeck, Volume 2, 2000 pp.11-49, p.17. ^ Jonathan Klawans, Josephus and the Theologies of Ancient Judaism, Oxford University Press, 2013 p.13. ^ a b Andrew Marsham, 'The Architecture of Allegiance in Early Islamic Late Antiquity,' in Alexander Beihammer, Stavroula Constantinou, Maria G. Parani (eds. ), Court Ceremonies and Rituals of Power in Byzantium and the Medieval Mediterranean: Comparative Perspectives, BRILL, 2013 pp.87-114, p.106. ^ Arieh Kofsky Eusebius of Caesarea Against Paganism, BRILL, 2000 p.303. ^ Gideon Avni, The Byzantine-Islamic Transition in Palestine: An Archaeological Approach , Oxford University Press, 2014 p.132. ^ a b Robert Shick, 'A Christian City with a Major Muslim Shrine: Jerusalem in the Umayyad Period,' in Arietta Papaconstantinou (ed. ), Conversion in Late Antiquity: Christianity, Islam, and Beyond: Papers from the Andrew W. Mellon Foundation Sawyer Seminar, University of Oxford, 2009-2010 pp.299-317 p.300, Routledge 2016 p.300. ^ John M. Lundquist, The Temple of Jerusalem: Past, Present, and Future, Greenwood Publishing Group, 2008 p.158. ^ Davidson, Linda Kay and David Martin Gitlitz "Pilgrimage: From the Ganges to Graceland : an Encyclopedia" Volume 1, ABC-CLIO, Inc, Santa Barbara, CA 2002, p. 274. ^ Schiller, Gertud. Iconography of Christian Art, Vol. I, 1971 (English trans from German), Lund Humphries, London, ISBN 0-85331-270-2; Penny, Nicholas. National Gallery Catalogues (new series): The Sixteenth Century Italian Paintings, Volume I, 2004, National Gallery Publications Ltd, ISBN 1-85709-908-7. ^ Andreas J. Köstenberger, 'The Destruction of the Second Temple and the Composition of the Fourth Gospel ,' in John Lierman (ed. )Challenging Perspectives on the Gospel of John, Mohr Siebeck 2006 pp.69-108, pp.101-102. ^ Daniel Frank, Search Scripture Well: Karaite Exegetes and the Origins of the Jewish Bible Commentary in the Islamic , East BRILL, 2004 p.209. ^ Gideon Avni, https://books.google.com/books?id=ZLucAgAAQBAJ&pg=PA136 p.136. ^ "Merits of the Helpers in Madinah (Ansaar) - Hadith Sahih Bukhari". haditsbukharionline.blogspot.ca. ^ A Brief Guide to al-Haram al-Sharif, a booklet published in 1925 (and earlier) by the "Supreme Moslem Council", a body established by the British government to administer waqfs and headed by Hajj Amin al-Husayni during the British Mandate period, states on page 4: "The site is one of the oldest in the world. Its sanctity dates from the earliest (perhaps from pre-historic) times. Its identity with the site of Solomon's Temple is beyond dispute. This, too, is the spot, according to universal belief, on which 'David built there an altar unto the Lord, and offered burnt offerings and peace offerings. '(2 Samuel 24:25)"
"The Rock was in the time of Solomon the son of David 12 cubits high and there was a dome over it...It is written in the Tawrat [Bible]: 'Be happy Jerusalem,' which is Bayt al-Maqdis and the Rock which is called Haykal." al-Wasati, Fada'il al Bayt al-Muqaddas, ed. Izhak Hasson (Jerusalem, 1979) pp. 72ff. ^ II Sam. xxiv. 16 et seq. ; I Chron. xxi. 15 et seq. ^ "Moriah". Easton's Bible Dictionary. Retrieved July 14, 2008. ^ Chisholm, Hugh, ed. (1911). "Aelia Capitolina" . Encyclopædia Britannica. 1 (11th ed.). Cambridge University Press. p. 256. ^ Brian J. Incigneri,The Gospel to the Romans:the setting and rhetoric of Mark's gospel, BRILL 2003 p.192. ^ Lester L. Grabbe (2010). An Introduction to Second Temple Judaism: History and Religion of the Jews in the Time of Nehemiah, the Maccabees, Hillel, and Jesus. A&C Black. pp. 19–20, 26–29. ISBN 9780567552488. ^ Timothy D. Barnes, Constantine and Eusebius, Harvard University Press 1981 pp.50-53, pp.201ff., p.211., pp.245ff. ^ John M. Lundquist, The Temple of Jerusalem: Past, Present, and Future, Greenwood Publishing Group 2008 p.156. ^ F. E. Peters (1985). Jerusalem. Princeton University Press. p. 143. ^ a b c d e Yoram Tsafrir (2009). "70–638: The Temple-less Mountain". In Oleg Grabar and Benjamin Z. Kedar (ed.). Where Heaven and Earth Meet: Jerusalem's Sacred Esplanade. University of Texas Press. pp. 86–87. ^ Hagith Sivan (2008). Palestine in Late Antiquity. Oxford University Press. p. 205. ^ F. E. Peters (1985). Jerusalem. Princeton University Press. pp. 145–147. ^ Karmi, Ghada (1997). Jerusalem Today: What Future for the Peace Process?. Garnet & Ithaca Press. p. 116. ISBN 0-86372-226-1. ^ a b Dan Bahat (1990). The Illustrated Atlas of Jerusalem. Simon & Schuster. pp. 81–82. ^ Andreas Kaplony (2009). "635/638–1099: The Mosque of Jerusalem (Masjid Bayt al-Maqdis)". In Oleg Grabar and Benjamin Z. Kedar (ed.). Where Heaven and Earth Meet: Jerusalem's Sacred Esplanade. Yad Ben-Zvi Press. pp. 100–131. ^ a b c F. E. Peters (1985). Jerusalem. Princeton University Press. pp. 186–192. ^ Yehoshua Frenkel, 'Jerusalem', in Abdelwahab Meddeb, Benjamin Stora (eds. ), A History of Jewish-Muslim Relations: From the Origins to the Present Day, Princeton University Press, 2013 p.108. ^ John Wilkinson (2002). Jerusalem Pilgrims before the Crusades. p. 170. ^ Selwood, Dominic. "Birth of the Order". Retrieved 20 April 2013. ^ The History Channel, Decoding the Past: The Templar Code, 7 November 2005, video documentary written by Marcy Marzuni. ^ Barber, The New Knighthood, p. 7. ^ a b c "Hashemite Restorations of the Islamic Holy Places in Jerusalem", Jordanian government website. ^ Martin Gilbert, Jerusalem in the Twentieth Century (New York: John Wiley & Sons, 1996), p254. ^ Israeli, Raphael (2002). "Introduction: Everyday Life in Divided Jerusalem". Jerusalem Divided: The Armistice Regime, 1947–1967. Jerusalem: Routledge. p. 23. ISBN 0-7146-5266-0. ^ David S. New,Holy War: The Rise of Militant Christian, Jewish and Islamic Fundamentalism, McFarland, 2001 pp.140ff. ^ a b c d e f g h Gonen, Rivka (2003). Contested Holiness: Jewish, Muslim, and Christian Perspectives on the Temple Mount in Jerusalem. Jersey City (N. J. ): KTAV. pp. 149–155. ISBN 9780881257984. ^ Urî Huppert, Back to the ghetto: Zionism in retreat, Prometheus Books 1988 p.108. ^ "RECONSTRUCTION OF EVENTS (REVISED) AL-HARAM AL-SHARIF, JERUSALEM MONDAY, 8 OCTOBER 1990". United Nations. October 8, 1990. Archived from the original on 9 January 2015. Retrieved April 12, 2012. ^ Rashid Khalidi, Palestinian Identity: The Construction of Modern National Consciousness, Columbia University Press, 2010 pp.215-216 n.22:'The pretext later invoked for the shootings was that the Palestinians inside the Haram were throwing stones at Jewish worshippers at the Wailing Wall plaza below, an allegation that careful journalistic investigation later revealed was false. It is impossible to be able to see the plaza from the Haram, given the high arcade that surrounds that latter, and the Palestinians were in fact throwing stones at Israeli security forces shooting at them from atop the Haram's western wall and adjacent roofs. It has since been established that most Jewish worshippers were gone before stones thrown at the soldiers went over the arcade and into the plaza. See Michael Emery,"New videotapes Reveal Israeli Cover-up," The Village Voice, November 13, 1990, pp.25-29 and the reportage by Mike Wallace on 60 Minutes, December 2, 1990. For a detailed account based on testimonies of eyewitnesses, see Raja Shehadeh The Sealed Room, (London: Quartet, 1992) pp.24-99'. ^ "Judge Blames Israeli Police In Killing Of Palestinians". Sun Sentinel. July 19, 1991. Retrieved April 12, 2012. ^ a b Itamar Sharon, 'Jews must stop Temple Mount visits, Sephardi chief rabbi says', The Times of Israel, 7 November 2014. ^ "2000: 'Provocative' mosque visit sparks riots". BBC. April 12, 2012. Retrieved April 12, 2012. ^ Al-Hayat Al-Jadida (Palestinian Authority), August 24, 2000. ^ Dumper, Michael; Stanley, Bruce E. (1 January 2007). "Cities of the Middle East and North Africa: A Historical Encyclopedia". ABC-CLIO – via Google Books. ^ Enrico Molinaro, The Holy Places of Jerusalem in Middle East Peace Agreements: The Conflict Between Global and State Identities, Sussex Academic Press, 2009, p.55. ^ Kotzin, Daniel P. (2010). Judah L. Magnes: An American Jewish Nonconformist. Syracuse University Press. p. 222. ISBN 0815651090. ^ Armstrong, Karen (2011). Jerusalem: One City, Three Faiths. Random House Digital, Inc. p. 382. ISBN 0307798593. ^ Narkiss, Bezalel (1988). The real and ideal Jerusalem in Jewish, Christian, and Islamic art. Center for Jewish Art, Hebrew University of Jerusalem. p. 247. ISBN 965-391-007-8. ^ "Report: Israel, Jordan in Talks to Readmit non-Muslim Visitors to Temple Mount Sites". Haaretz. June 30, 2015. ^ a b Nadav Shragai (November 13, 2014). "The "Status Quo" on the Temple Mount". JCPA. ^ It's a mistake to allow right-wing MKs on Temple Mount, Police Chief Danino says, Jerusalem Post, 25 November 2014. ^ Staton, Bethan. "The women of al-Aqsa: the compound's self-appointed guardians". Middle East Eye. ^ "Israel Bans Two Muslim Activist Groups From Temple Mount". Haaretz. September 9, 2015. ^ Preservation of the Holy Places Law, 1967. ^ Jerusalem - The Legal and Political Background, Ministry of Foreign Affairs, Government of Israel. ^ Nadav Shragai, "Three Jews expelled from Temple Mount for praying". ^ "Heavy security around al-Aqsa," Al Jazeera English, October 5, 2009. ^ "PROTECTION OF CIVILIANS 16 – 29 SEPTEMBER 2009 Archived 24 September 2015 at the Wayback Machine", UNITED NATIONS Office for the Coordination of Humanitarian Affairs occupied Palestinian territory. ^ "Tourism Min. plan to widen Jewish access to Temple Mount angers Palestinians". Haaretz. 7 October 2014. Retrieved 5 November 2014. ^ "Israel issues tender for new settlement units". Al Jazeera. 18 December 2011. Retrieved 5 November 2014. ^ "Israel MPs mull Jewish prayer at al-Aqsa site". aljazeera.com. ^ Moshe Sharon. "Islam on the Temple Mount" Biblical Archaeology Review July/August 2006. p. 36–47, 68. "Immediately after its construction, five Jewish families from Jerusalem were employed to clean the Dome of the Rock and to prepare wicks for its lamps"
^ The Kaf hachaim (Orach Chaim 94:1:4 citing Radvaz Vol. 2; Ch. 648) mentions a case of a Jew who was forced onto the Temple Mount. ^ a b c d Motti Inbari (2009). Jewish Fundamentalism and the Temple Mount. SUNY Press. pp. 22–24. ^ a b c d Yoel Cohen (1999). "The Political Role of the Israeli Chief Rabbinate in the Temple Mount Question". Jewish Political Studies Review. 11 (1–2): 101–126. ^ a b c d Ron E. Hassner (2009). War on Sacred Grounds. Cornell University Press. pp. 113–133. ^ Rabbis who support this opinion include: Mordechai Eliyahu, former Sefardi Chief Rabbi of Israel; Zalman Baruch Melamed, rosh yeshiva of the Beit El yeshiva; Eliezer Waldenberg, former rabbinical judge in the Rabbinical Supreme Court of the State of Israel; Avraham Yitzchak Kook, Chief Rabbi of Palestine (Mikdash-Build (Vol. I, No. 26) Archived 2013-09-27 at the Wayback Machine); Avigdor Nebenzahl, Rabbi of the Old City of Jerusalem. ^ Meyer, Gedalia; Messner, Henoch (2010). "Entering the Temple Mount—in Halacha and Jewish History". Hakirah. 10: 29. ISBN 0-9765665-9-1. ^ Margalit, Ruth (2014). "The Politics of Prayer at the Temple Mount". The New Yorker. ^ Nadav Shragai (May 26, 2006). "In the Holy of Holies". Haaretz. ^ a b Jeremy Sharon (December 2, 2013). "Chief Rabbis reimpose ban on Jews visiting Temple Mount". Jerusalem Post. ^ 'Orthodox Jewish newspaper asks Arabs to avoid killing Haredi Jews,' Ma'an News Agency 29 October 2015. ^ "Photograph of the northern wall area". Archived from the original on 2002-07-18. Retrieved 2018-04-05. ^ "Wilson's map of the features under the Temple Mount". Archived from the original on 2001-12-14. Retrieved 2018-04-05. ^ Kaufman, Asher (May 23, 1991). "The Temple Site" (Abstract). The Jerusalem Post. p. 13. Retrieved March 4, 2007. The most important findings of the superposition of the Second Temple on the Temple area are that the Dome of the Rock was not built on the site of the Temple, and that the Temple was taper-shaped on the western side, a form hitherto unknown to the scholars. ^ "Researcher says found location of the Holy Temple". Ynetnews. February 9, 2007. Retrieved March 4, 2007. Archaeology Professor Joseph Patrich uncovered a large water cistern that points, in his opinion, to the exact location of the altar and sanctuary on the Temple Mount. According to his findings, the rock on which the Dome of the Rock is built is outside the confines of the Temple. ^ "Under the Temple Mount". Archived from the original on 2002-07-19. Retrieved 2018-04-05. ^ "Determination of the location of the Temple based on the angle of sight of Agrippa II". templemount.org. ^ "Photograph of the inside of the Golden Gate". Archived from the original on 2002-07-19. Retrieved 2018-04-05. ^ "image of the double gate passage". Archived from the original on 2002-07-19. Retrieved 2018-04-05. 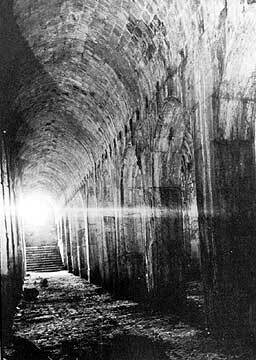 ^ "Photograph of one of the chambers under the Triple Gate passageway". Archived from the original on 2002-07-19. Retrieved 2018-04-05. 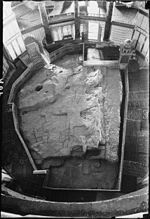 ^ "Photograph of King Solomon's Stables". Archived from the original on 2002-07-19. Retrieved 2018-04-05. ^ "Policeman Assaulted Trying to Stop Illegal Temple Mount Dig". Arutz Sheva. ^ "Jerusalem's Temple Mount Flap - Archaeology Magazine Archive". archaeology.org. ^ "Waqf Temple Mount excavation raises archaeologists' protests". Haaretz.com. 11 July 2007. ^ Jacqueline Schaalje, Special: The Temple Mount in Jerusalem. ^ "On-the-Spot Report from the Kotel Women´s Section Construction". Arutz Sheva. ^ Fendel, Hillel (February 7, 2007). "Jerusalem Arabs Riot, Kassams Fired, After Old City Excavations". Arutz Sheva. Retrieved February 7, 2007. ^ Fendel, Hillel (September 9, 2007). "Silence in the Face of Continued Temple Mount Destruction". Arutz Sheva. Retrieved 2007-09-07. ^ a b Rapoport, Meron (July 7, 2007). "Waqf Temple Mount excavation raises archaeologists' protests". Haaretz. Retrieved 2007-07-11. ^ "Revoking the death warrant". Al-Ahram Weekly. Archived from the original on 2013-05-17. ^ "BBC NEWS - Middle East - Warning over Jerusalem holy site". bbc.co.uk. ^ "Jerusalem wall collapse sparks Jewish-Muslim row". smh.com.au. ^ "Arabs Vandalize Judaism's Holiest Site". Arutz Sheva. March 31, 2005. Retrieved July 11, 2007. ^ "Rightist MK Ariel visits Temple Mount as thousands throng Wall". Haaretz.com. 9 October 2006. ^ Wagner, Matthew (October 10, 2006). Rabbis split on Temple Mount synagogue plan. The Jerusalem Post. ^ "UK News, World News and Opinion". timesonline.co.uk. ^ "Rabbis visiting Temple Mount 'hope for an awakening'". ynet. ^ "A provocation in religious clothing". Haaretz.com. 15 May 2007. ^ Sela, Neta (May 16, 2007). "Rabbi Shapira forbids visiting temple Mount". Ynet. Retrieved May 17, 2007. ^ Kyzer, Liel (October 25, 2009). Israel Police battle Arab rioters on Temple Mount; PA official arrested. Haaretz. ^ Arrests at holy site in Jerusalem. BBC News. October 25, 2009. ^ Jerusalem holy site stormed. The Straits Times. October 25, 2009. ^ Clashes erupt at Aqsa compound. Al Jazeera. October 25, 2009. ^ "Half the Public Wants to See Holy Temple Rebuilt". Arutz Sheva. ^ "Israeli lawmaker visits flashpoint religious site". Reuters. ^ Ariel, Omri. "Temple Mount terrorists named, identified as 3 Israeli Arabs from Umm al-Fahm". Jerusalem Online. Archived from the original on 2017-07-17. Retrieved 19 July 2017. ^ Unattributed. "Israeli police killed in attack near Jerusalem holy site". BBC. Retrieved 19 July 2017. ^ Shaham, Udi. "Muslim authority protests Temple Mount security measures, blocks entrance". Jerusalem Post. Retrieved 19 July 2017. Eliav, Yaron Z. (7 November 2005). God's Mountain: The Temple Mount in Time, Place, and Memory. Johns Hopkins University Press. ISBN 978-0-8018-8213-5. Eliav, Yaron Z. (9 May 2008). "The Temple Mount in Jewish and Early Christian Traditions: A New Look". In Tamar Mayer and Suleiman A. Mourad (ed.). Jerusalem: Idea and Reality. Routledge. pp. 47–66. ISBN 978-1-134-10287-7. This page was last edited on 24 April 2019, at 11:37 (UTC).